When her Aunt Tilly predicts that there will be a murder, Abracadabra magick store owner and practicing witch Kailyn Wilde has reason to worry. Inexplicable “glitches” in the Wilde women’s magic may make Aunt Tilly’s credibility questionable, but Kailyn herself all too recently had a body literally fall on top of her. Kailyn still hopes for the best when her boyfriend Travis Anderson arrives in a frantic state with news of a missing friend, but unfortunately they soon find that Aunt Tilly’s prediction may have come true. While the police declare that Ryan Cutler was the victim of a tragic car accident, Travis knows that his vegetarian friend would never have been eating a hamburger while driving. Using an ingenious but questionably ethical spell to gain entrance into Ryan’s apartment, they discover that the freelance journalist was following a trail of recent deaths of varying methods and means. With practical detective work enhanced by a few magical spells, the couple discovers the link between these victims who are seemingly unrelated strangers. Proving to be no small distraction is the legendary wizard Merlin, whom the Wilde women accidentally whisked into present time. On a mission to have their town of New Camel returned to its original name of Camelot, Merlin instigates his unique method of voter fraud which could land him in hot water with authorities. What makes this series so delightful is how much Kailyn has begun to integrate magic into her investigations. Not many detectives have the power to teleport into offices, bespell suspects into telling the truth, or use magic to transform earrings into spyware. Of course, Kailyn’s magic isn’t always that reliable, especially since she may be the first witch for the last 300 years to have developed some of the talents. That doesn’t mean that she’s on her own, though, as the floating apparitions of her very opinionated mother and grandmother continue to counsel and advise the last woman of the Wilde family. 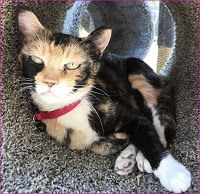 Merlin’s abilities prove to be as much a liability as an asset, with the results being as hilarious to the reader as they are frustrating for all involved. An increasingly intriguing factor is how Kailyn is learning that the more she strays from the white into gray magic, the more the moral and ethical implications weigh on her conscience. A confrontation that reveals the culprit’s identity is both surprising and satisfying, with justice winning out just in time for Kailyn and her loved ones to settle down to a comforting Thanksgiving meal. 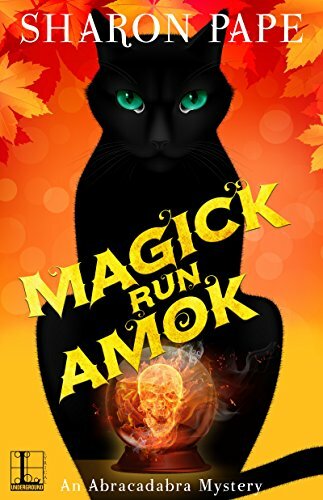 To enter to win an ebook copy of Magick Run Amok, simply email KRL at krlcontests@gmail[dot]com by replacing the [dot] with a period, and with the subject line "amok,” or comment on this article. A winner will be chosen August 4, 2018. U.S. residents only. You can read our privacy statement here if you like. Sounds great...love ebooks ...thank you for the chance.